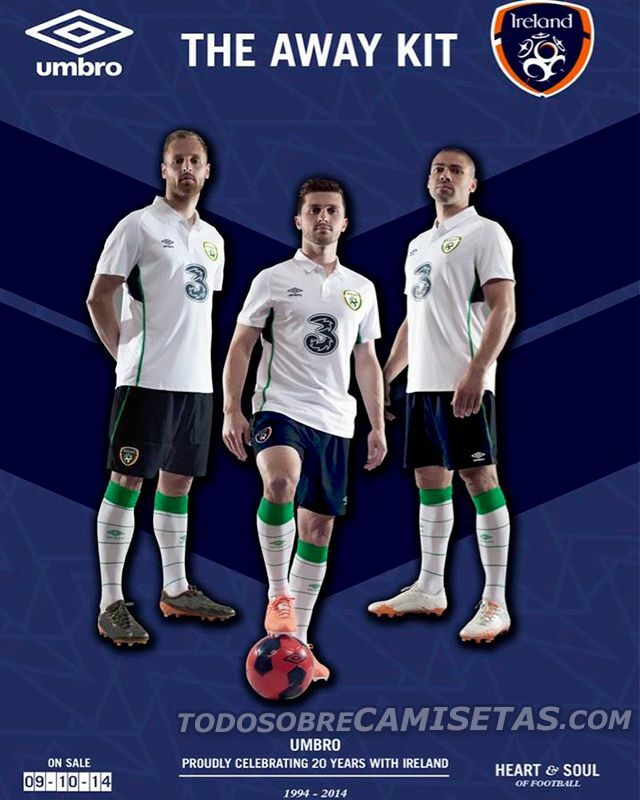 We go directly to ireland to show you their National Football Team’s new away kit. They’ve played in three world cups, getting into the quarter-finals in their first participation ever. This new kit will be first used against Scotland in a match for the Euro 2016 qualifications. Umbro has given them a mosly white jersey with open polo neck, with a green line in both sides and some blue below the armpits. The shirt is completed by a dark blue short with green details and green bordered white socks. What do you think about this work by Umbro? Do you like the new kit?